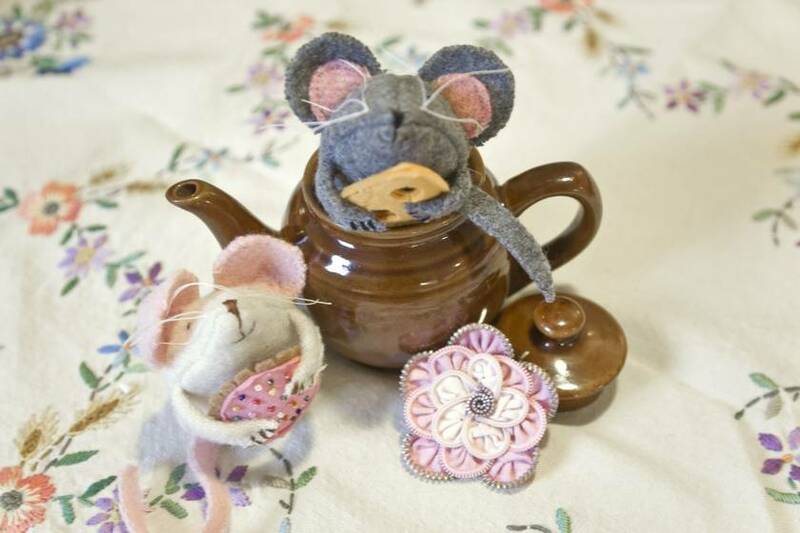 Do you like tea with biscuits or do you prefer nibbling cheese? 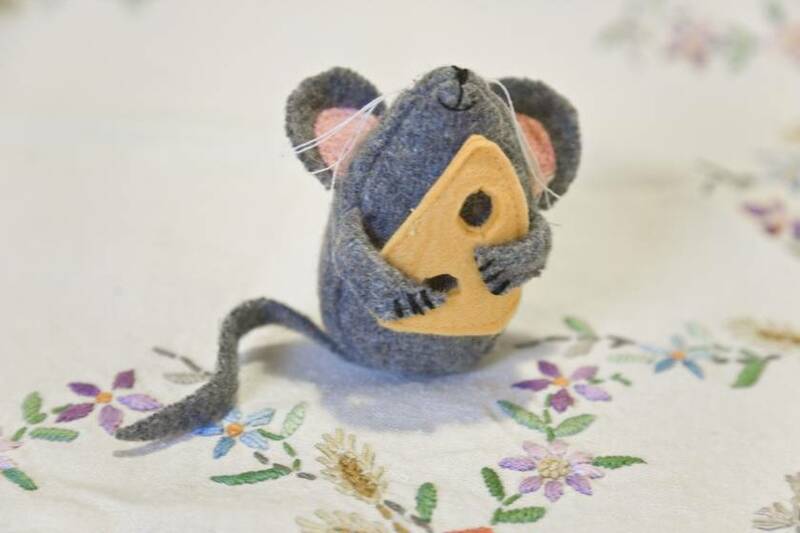 Mouse softies are cute little handfuls of repurposed vintage wool blanket that make you smile. Their big ears make them great listeners, they have sweet little hand stitched faces and twitchy whiskers.Tail lengths vary with the personality of your mouse. Each mouse some with its own food or accessory. Cheese slices are hand cut from yellow felt and stitched, biscuits are made from tan and pink felt hand cut and stitched with multi coloured glass beads to make the sprinkles! Blanket Mice are made to my own unique design and prefer sitting on their bottoms and looking up at you with their cute little faces. Size approx 9cm x 7cm. Mice are $22 each or 2 mice for $40. So the decision is do you love cheese or pretty pink biscuits? 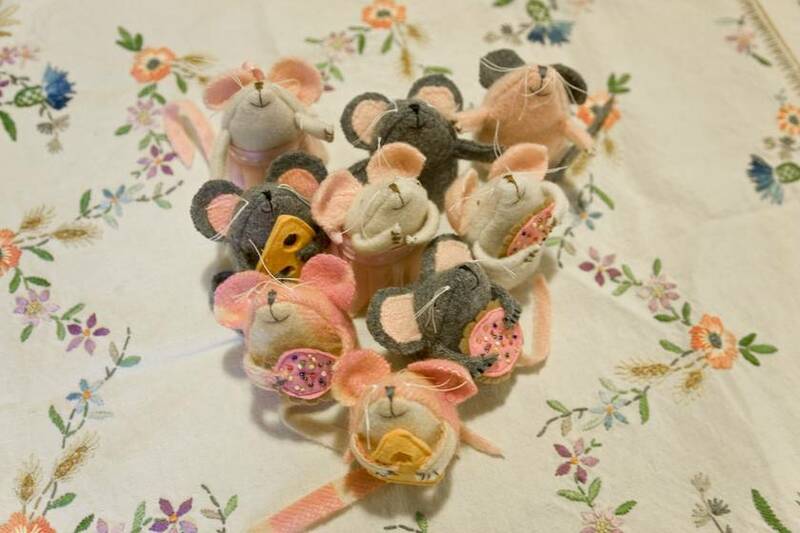 Please specify which colour mouse you would prefer, grey, vintage cream, pink, and specify your preference for biscuit or cheese when adopting your mouse and sending through delivery details. 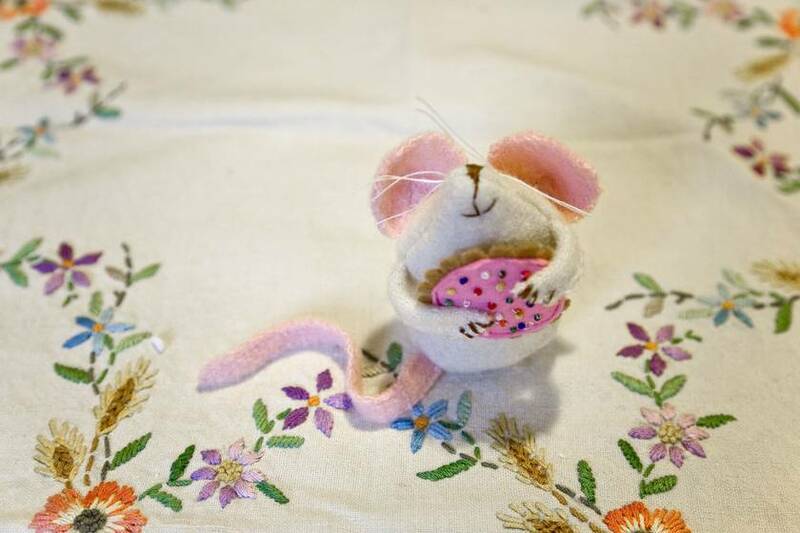 If this little mouse is a special gift please let me know and I will gift wrap her carefully on your behalf. Please ask before using photos thanks.